This new edition, which is reproduced from a first printing of the book, is introduced by the author Martin Edwards, archivist of the Detection Club, and includes a never-before-published Preface by Agatha Christie, 'Detective Writers in England', in which she discusses her fellow writers in the Detection Club. This classic whodunit adopted a completely new approach: Milward Kennedy proposed the title, John Rhode plotted the murder and provided the suspects, and four of their contemporaries were asked to lend their well-known detectives to the task of providing solutions to the crime. But there was to be another twist: the authors would swap detectives and use the characters in their sections of the book. Thus Gladys Mitchell and Helen Simpson swapped Mrs Bradley and Sir John Saumarez, and Dorothy Sayers and Anthony Berkeley swapped Lord Peter Wimsey and Roger Sheringham, enabling the authors to indulge in skilful and sly parodies of each other. 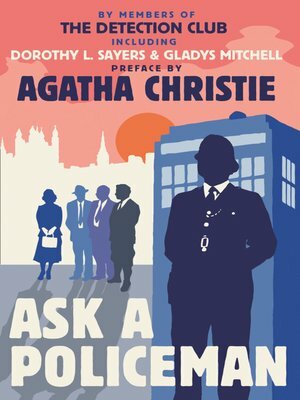 The contributors to ASK A POLICEMAN are: John Rhode, Helen Simpson, Gladys Mitchell, Anthony Berkeley, Dorothy L. Sayers, Milward Kennedy with Agatha Christie and Martin Edwards.